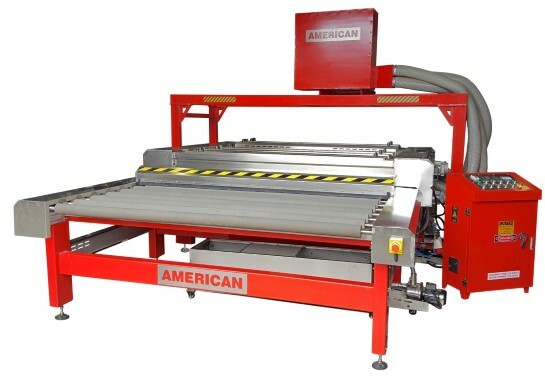 American Glass Machinery is a multidimensional sales and service company. We sell new glass processing machinery, supply quality, reconditioned used glass processing machinery and provide services to the flat glass industry. 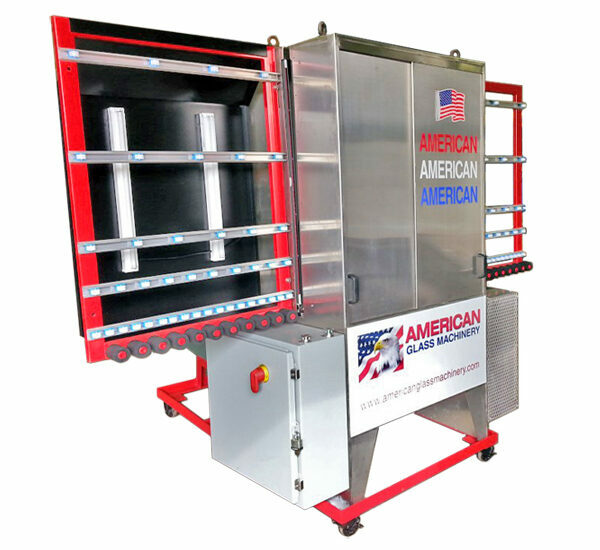 With over forty years experience of serving the Industry, American Glass Machinery has become one of the recognized suppliers of new and used glass processing machinery in the United States and worldwide glass markets. We conduct our sales and marketing activities in our facility near Pittsburgh, Pennsylvania. This stainless steel glass washing machine is suitable for different thicknesses of glass 0-2in. Cleaning and drying is automatic; horizontal transmission; 4/6/8 brushes; 4 special air knives for drying, temperature control, variable speed conveyor. Glass thickness digitally controlled by 4 screw jack lift top. Glass comes out dry without the need to run the glass at an angle. HRP-S series machines are designed according to the Quanex technical code. These machines are designed to manufacture Duraseal and Duralite warm edge spacer for insulating glass. 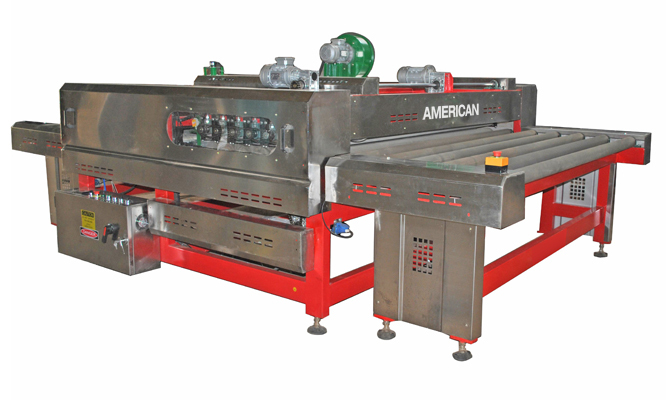 This series glass washing machine is suitable for different thicknesses of glass. Cleaning and drying is automatic. It has 6 brushes; powerful air drying system for drying, automatic or manual temperature control, variable speed conveyor. The open top design can be manufactured as a 24″; 36″; 48″, 72″. 84″, and 96″ models are closed top designs. Washers can be made with 2, 4, 6, or 8 brushes. Standard brushes are low-e brushes and come in 12″ segments stacked on solid stainless steel brush shafts that can be rotated for wear. The washer cabinet is made out of heavy duty stainless steel with 4 stainless steel sliding doors that can be lifted out completely for total access to the interior of the washer. The working height, or pass line, is a comfortable 30″ off the floor. Want to speak with a sales representative? Give us a call and we would be happy to answer any questions!